After her grampa dies, the last place Libby expects to see him is sitting on the edge of her bed. But that's what happens the night after the funeral. Even more surprising is that Grampa has three important things to tell her: first, that she isn't alone or forgotten The dead ain't never that far from the living, he says; second, that she has the Sight the ability to see family members who have died; and third, that there is something special just for her in the lake. Something that could help her and her father if she can find it. Libby and Grampa try to help her father heal from his grief, but it will take all of Libby's courage and her gift of Sight to convince her father that the dead are never truly gone. Libby has lost most of her family - her grandma, mom, and now her grandpa, who just so happened to be her best friend. She's only got her dad left, and he's so grief-stricken that he's not really there for her. This book has a pretty heavy topic - dealing with the grief of losing loved ones - but even with that, it's a quick read. Libby is a strong character, in spite of - or perhaps because of - what she's been through. She misses her grandpa something fierce, but she mostly just wants her dad back. I thought the book had a great moral to it, and a great ending, even though it had a meandering way to get there at times. I'm not sure that my middle-grade boys would be very interested in this - they typically prefer more adventurous style stories - but they might surprise me. I will admit that when I first started this book I got a little hung up on how Libby was speaking. However, that quickly faded away with the story. My heart went out to Libby's dad, and ached for how alone Libby felt. It was touching, this story dealing with the loss of a loved one. But it was also really well written for middle grade children. Since the point of view is from Libby, it sees things how a child would see loss, and feel helpless but determined to help an adult. I can't wait to have my 12 year old daughter read this. I also think my 9 year old would enjoy it, but I'm skeptical whether my 11 year old would like it. He's more into the action/fantasy genre. It's not an overwhelming book in it's size or content. I think the author nailed it right on the head. Libby has lost everyone in her family except her father, and they're both full of grief. 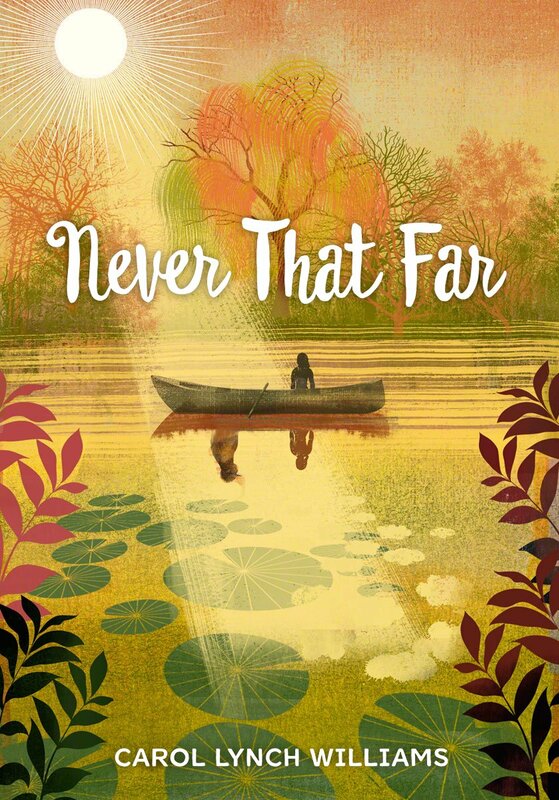 Never That Far is Libby's journey in trying to get her father to believe that their dead loved ones are never that far away. He needs that comfort so he can be happy again, and be there for Libby. Never That Far is an interesting read. It has a lot of heart and a good message about the importance of family and faith. I liked Libby a lot, and her friend Bobby. It is so nice (and important) to have friends that are on the same page as us, that we can count on and trust, especially when we might not be getting that at home. It is a quick and clean read.